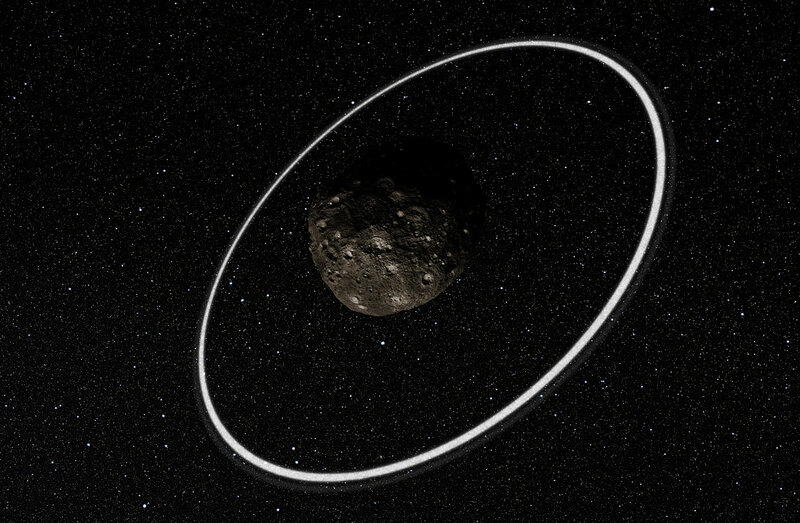 Nevertheless, as a rings guy, I had a truly jaw-dropping moment earlier this year when Nature magazine announced the discovery of rings orbiting a 250-kilometer asteroid designated 10199 Chariklo. South American astronomers detected two narrow, dense rings while watching Chariklo pass in front of a star last year. Nevertheless, the observations are completely unambiguous. The Chariklo rings are real. For me, as a scientist, it has driven home an important message - apparently, I don't understand rings quite as well as I thought I did. Which brings me back to New Horizons. We are about to fly a spacecraft past Pluto at nearly 14 kilometers per second - about 31,000 miles per hour. A millimeter-sized ring particle could do serious damage, possibly jeopardizing the mission and all of the science data we plan to collect. We have designed alternative trajectories to use if we see something hazardous in our path. I will be part of the team scouring the images as we approach Pluto to look out for any unwelcome surprises and recommend which of those trajectories to use, if necessary. 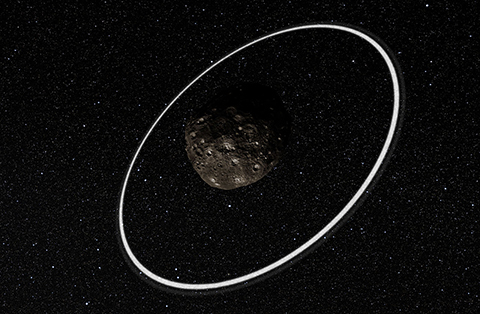 Mark Showalter, a New Horizons science team co-investigator and senior research scientist at the SETI Institute, is the discoverer of six moons (including Pluto's moons Styx and Kerberos) and three planetary rings. In addition to searching for faint rings and additional small moons, Showalter will be investigating the dynamics, evolution and origin of the Pluto system.